The FFXIV November patch is the game’s first major content patch. While FFXIV has a lot of promise, there are quite a few issues that have plagued the game and made it less appealing than it could be. This is an FFXIV review of some of the most attention-catching changes of the patch; I certainly don’t cover everything. For a full list of changes that came with the FFXIV November patch, please see Square’s website. After playing around in the newly patched game for a couple of hours, in my opinion this is definitely a step in the right direction. While the game remains challenging, many aspects that were annoying rather than interesting have had their edges smoothed a bit. There are two big, obvious changes to combat. First, all of the enemies have more health, but evade a significant amount less. As a marauder, I particularly appreciate this change; there were many times after activating Bloodbath that a mob would evade or dodge every hit until the effect ran out – which makes it difficult for a marauder to keep his or her health pool up. Also skill points are now awarded at the end of combat like XP, rather than at random intervals throughout the combat. This at least gives the impression that more skill is being collected during combat. At this time, I can’t say how accurate the impression is, but it’s nice to see a total amount of skill points just delivered at the end. Speaking of skill points, the amount of skill points required for rank 11-31 classes has been lowered. If you were one of the lucky people this morning that woke up a level higher than before, congratulations. I’m excited about this change, since the slow down of rank gain after 10 was rather striking. The biggest change to gathering is that hints are no provided in the chat window during the "targeting" (setting your notch, etc) phase. This is a very nice feature, since it sometimes indicates that there’s something more useful/saleable in a different area. t still costs 4 anima to teleport from one place to another. However, there have been a couple of adjustments that will help make one’s slowly recovering anima last a bit longer. The cost of returning to the last aetheryte has been reduced from 2 to 1. The cost to teleport to one’s main city has been reduced from 4 to 2. Both of these are good little savers. Much more interesting, it’s possible to register three "favorite locations" in the outlying areas for a small fee. The fee varies depending on the level of the area. 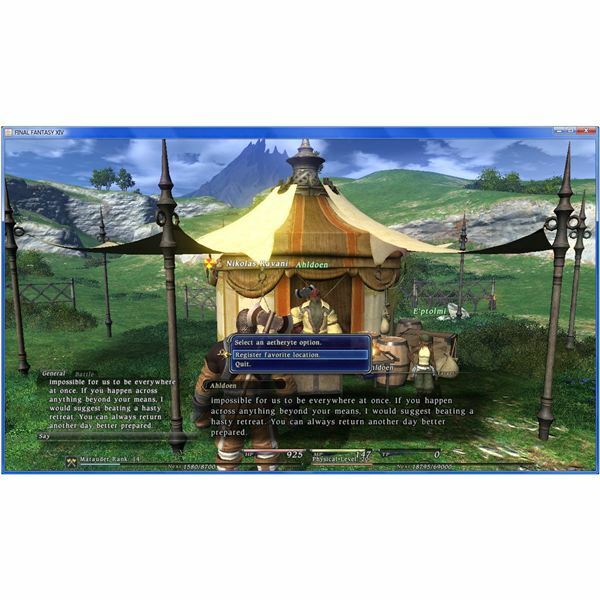 For example, the level 10-20 area outside of Limsa Lominsa, the cost is 1000 gil (Camp Skull Valley), while the level 1-10 area (Camp Bearded Rock) costs only 500 gil. Registering a location as favorite requires finding the correct NPC to talk to. Favorite locations only have an anima cost of 2 associated with them. This is another excellent anima saver and makes getting around in the world much quicker and easier. I approve. Gear and attributes are now in different menus, which is not something that particularly bothered me before. However, now when changing out gear, the only items that appear on the list to choose from are those that can actually be equipped in the selected slot. Less scrolling! I also greatly appreciate that rather than only being viewable with the menu up, the skill point and XP progress toward the next level are now always viewable as bars along the bottom of the screen. It’s a small thing, but simplifies checking on one’s progress. Inventories for players and retainers have been increased to 100, from 80. There have also been adjustments to the retainer dialogs, which makes interacting slightly less clunky, though certainly not perfect. At least there’s an auto sort option now, which for retainers is bizarrely only accessible from the bazaar management dialog. The sorting groups like items together, which makes looking through an inventory less of a nightmare. Retainers also get marked with different icons depending on if they are buying, selling, or seeking repairs, which is nice. When solo items immediately go into player inventory rather than sitting in the loot list, as long as there is room in the inventory. This is another little fix that smooths out something that was an annoyance. Underwear no longer takes damage and no longer needs to be repaired. I think we can all appreciate that. While the FFXIV November patch improved a lot of the game’s major issues, I think the game still has a ways to go. The biggest bone of contention in just about any FFXIV review has been the use of retainers rather than an auction house. Square has promised to improve the retainer system further in the next content patch (due in late December) and one can hope. While the minor retainer improvements mentioned above are nice, they’re more of a band-aide on the galring problems. Larger bazaars sizes and/or multiple retainers, allowing a player to spread his or her wares across several wards. The biggest frustration right now with the lack of an auction house is the fact that, in order to find a specific item, one has to go to the right market ward and slowly look at every single retainer – and sometimes emerge on the other side without finding even one necessary item for sale after wasting 20-30 minutes hunting through bazaars. 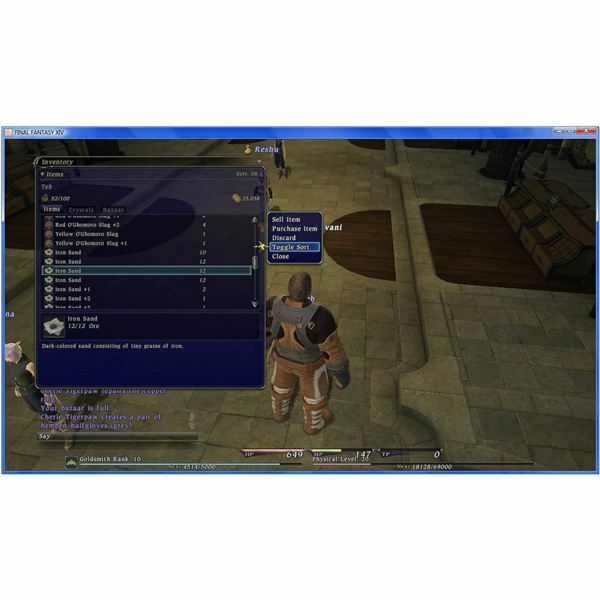 There are a lot of other tweaks and fixes the game still needs, but in my opinion this is the most pressing one for FFXIV as an MMO. 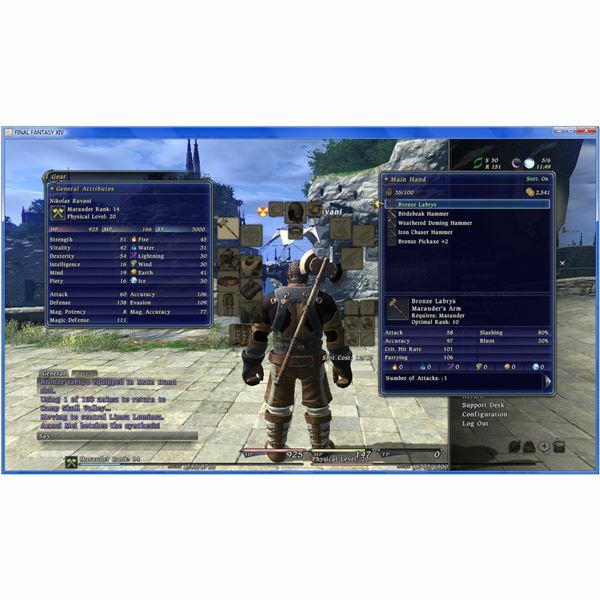 Game economy is important in any MMO, and the retainer system is currently working against the economy, rather than for it. The major improvements in the November patch do give me hope that Square is listening, and these problems will be addressed soon. I’m keeping my fingers crossed!